IIA NZ Library resources are available to members for loan free of charge. Members can borrow up to three books for six weeks. If you cannot find what you are looking for please contact the office with your inquiry. Author: Hernan Murdock, DBA, CIA. 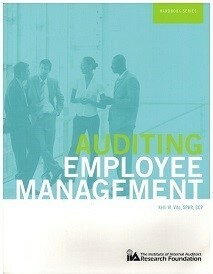 For Internal Auditors who work with and lead teams. Keywords: motivation, communication, development and assessment. Authors: Nelson Gibbs, Divakar Jain, Amitesh Joshi, Surekha Muddamsetti, Sarabjot Singh. 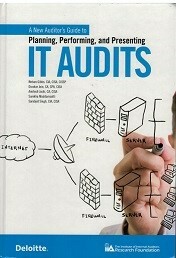 For Auditors looking at IT concepts which can be applied in a variety of environments. Based on IIA, ISACA and COSO guides and standards. Keywords: Networks, operating systems, databases and applications. Authors: Catherine L. Bromilow, CPA and Donald P. Keller, CPA. Provides insight into audit committee effectiveness in the wake of the global financial crisis from governance to processes. 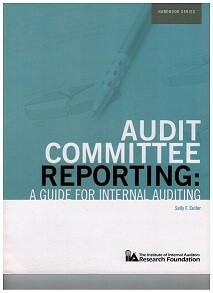 Keywords: Best practice, financial reporting, financial reporting and committee members. A valuable resource covering audit planning, tracking, researching, operations and reporting along with explanations of strategies and examples. Keywords: Reporting, auditing, planning, operations. Author: Kelli W. Vito, SPHR, CCP. An insightful books outlining best practices and risked when administering compensation and benefit programs. It offers samples and checklists and control matrices. Keywords: Administration, salary, benefits, compliance, human resource management. Addresses internal risks and problems associated with workforce planning, recruitment, integration and retention of employees. Keywords: Recruitment, budget, compliance, workforce. Discusses and offers tangible insight into the audit risk, program development, HR policies, safety, security and more of auditing employee management. Keywords: Employment, bargaining, training, policies, management. Described as an essential resource, this book delivers practical and technical operatives for the audit function to align HR functions to organisational goals and maintain legal compliance. Keywords: Compliance, HR, training, development. Handbook discusses the risk, demands and challenges of auditing entities abroad. Provides checklists and a sample audit program. Keywords: International, auditing, risks, strategies, checklists. An exploration of compliance and risk considerations in social media along with legal issues. Discusses social media strategy and tracking. Keywords: Social media, tracking, risk, compliance, strategy.